Sign upLog inAre you a quality pro? Transform your home into an autumnal wonderland with these decor inspirations. Leaves, pumpkins, pine cones and more aren’t only meant for the outdoors. Bring the bliss of nature into your own home by decorating with beautiful fall features. By drawing inspiration from natural elements, you can fill your home with fall simply and effortlessly. From your fireplace mantel to a seasonal centerpiece, spend some time spicing up your indoors with these autumn decor ideas. Sometimes the simplest of displays can be the most beautiful. There’s something about white decor that leaves a room looking so pure and chic. We love the wheat bundles at each end that adds a little harvest charm. This captivating dining room mixes texture, patterns, and color, but it makes sure to not leave out a taste of fall with a centerpiece simply consisting of a collection of pine cones. We love this idea of filling vases with nuts to mix up your candle holders for fall. 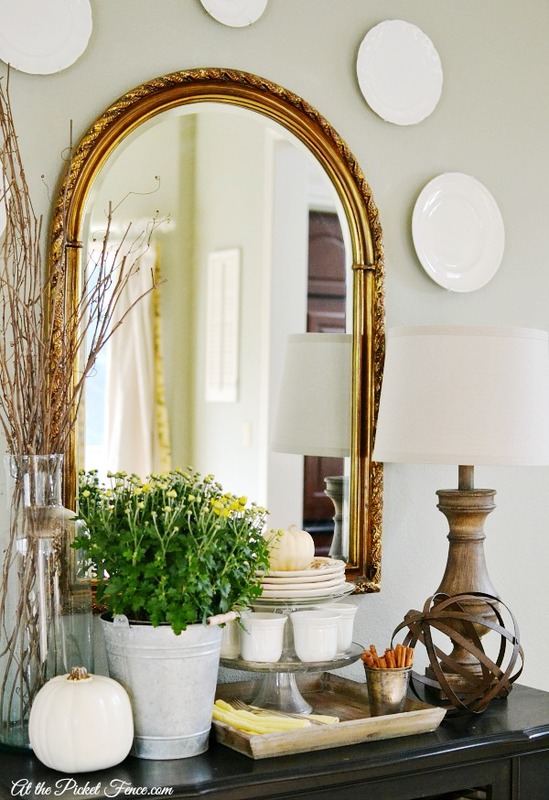 Branch out with your fall decor by using an array of objects to dress up a mantel or shelf. Decorating with individually gilded letters is a great way to include personal flair to your home. 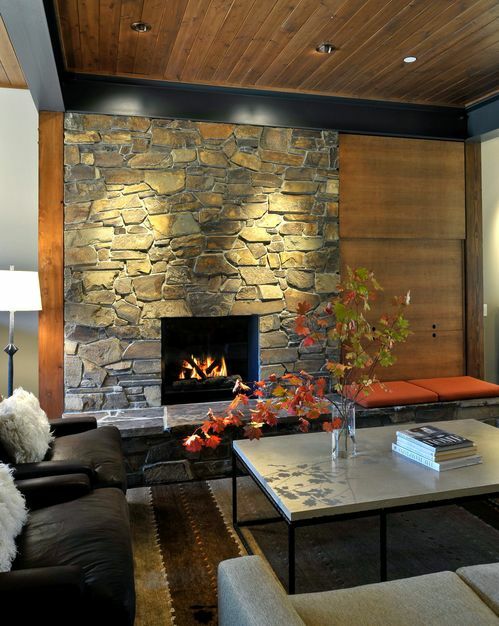 Filling a room with natural elements can create a woodsy warmth to prepare you for a perfect fall. Try combining bits and pieces of nature-inspired objects like branches, twigs, plants, and wood materials. 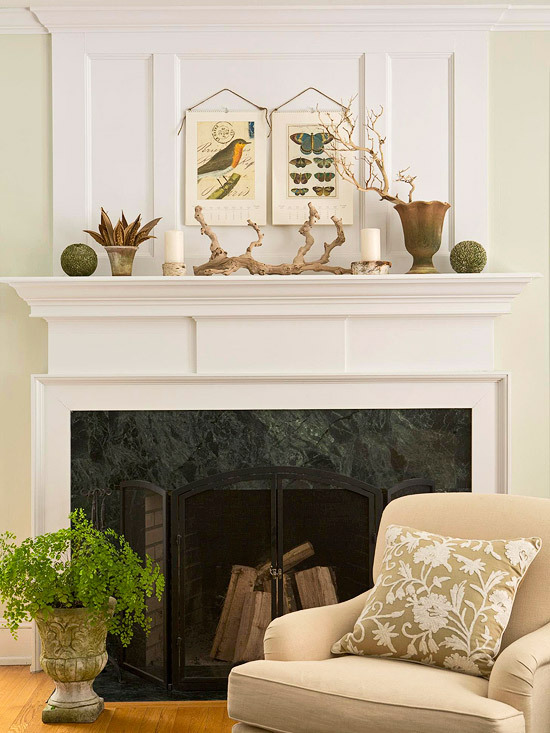 Dress up your fireplace mantel with an assortment of decorations that all fall under the same color scheme. With faux leaves, garland, candles, lanterns, and a wreath to complete the look, this stunning mantel is ready for the seasons! Bring interest to your objects by varying the heights of pieces on your table display. Don’t be afraid to mix and match different colors, sizes, and textures. You may be surprised how appealing to the eye unlike objects can be! 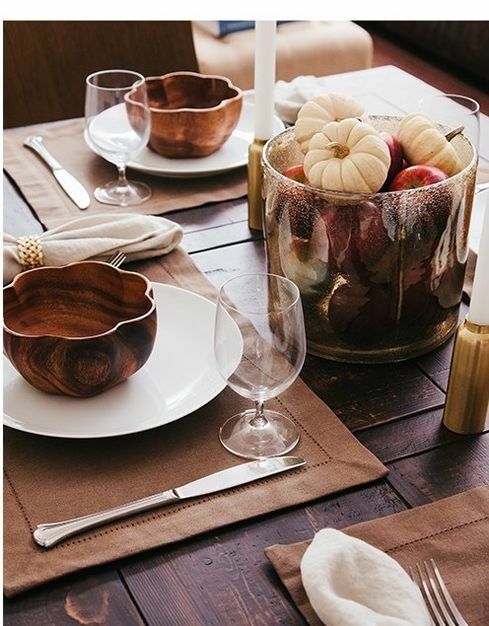 For the simplest of centerpieces, pile up your extra pumpkins, gourds or even apples into a decorative vase or bowl. We love the idea of decorating with autumn leaves from the outdoors, just like you would do with flowers. It’s a quick and easy way to create a seasonal space! Do you have a favorite fall decoration for your home? Let us know in the comments below! Senior Editor, Porch.com. With a passion for all things home, Mady writes about interior design and decorating, home remodeling and loves scouring Pinterest for the best DIY projects. In her free time, Mady enjoys flipping furniture and hunting for the latest home decor trends. You can find her work in ForbesLife, Martha Stewart, InStyle, U.S. News &amp; World Report, SheKnows, Bustle, and more. Follow Mady on Twitter at @madydahlstrom and feel free to reach out to her at madisond@porch.com.